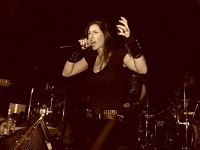 You are the singer of the Canadian band Unleash The Archers. Why did you choose this band name? Could you please introduce the members, describe each of them in two-three words and tell us a bit about the history of the band? We’ve been through a couple line-up changes over the years, but it’s been Scott Buchanan on drums since the beginning; he’s very influenced by the technical drumming styles of bands like All Shall Perish and As Blood Runs Black, and it’s a very important part of why we sound the way we do. Grant Truesdell has been playing guitar with us for three years now, and he brings a lot of energy to the stage as well as his playing. Our newest member is Andrew Saunders, he’s taken over on guitar just recently and is really fitting in well; he’s incredibly talented and is a phenomenal writer. Currently we are auditioning for new bass players, but we have a couple of prospects that are going to add a lot to the new direction we’re taking. 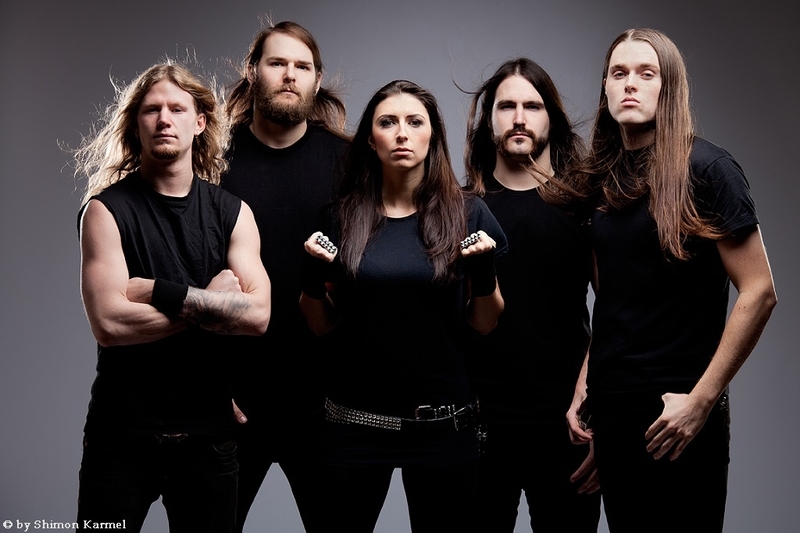 As for myself, I am a big fan of sci-fi and fantasy, and really strive to bring our listeners into the world of Unleash The Archers and hopefully help to take their minds off of the burdens of daily life. Soon your new CD will be released. Which infos could you give us about it – maybe the title, number of tracks, what are the lyrics about? The new album is still in the early stages of release, so unfortunately I can’t give away the name of the record yet ;) but it will have 9 tracks and it is going to be a very fun, fast-paced power metal record. The songs are all very different, but each will tell a small part of the story of what it is like to be a band struggling in the crowded music industry of today. Who write the music and the lyrics for your songs – all band members in teamwork? Yes, teamwork in our songwriting is very important to us, we all contribute equally to how each song turns out. Sometimes it will start with a guitar riff, or a drum beat, or the melody of a chorus, and we’ll just grow it together from there. I write all the lyrics, but the song names are always agreed upon by all. What are the most important inspirations for you when you are writing songs? Do you have to be in a special mood or do you need special ambience to be creative? Actually I’m finding that I really have to be in the right head space to write lyrics, I have to focus very intently on how I want the song to make you feel, and how the words will be interpreted in different contexts. I very much want each and every song to tell a story, but I am never too literal; I want you to be able to create your own story as well. In which age you've started to sing, and when did you start your career as professional singer? I’ve been singing since I was very young, but I started taking part in community choirs and professional performances when I was 8 years old. I took a few lessons over the years, but really began to focus on developing my voice when I was in university. I spent a lot of time at the UVic School of Music, and learned so much there. 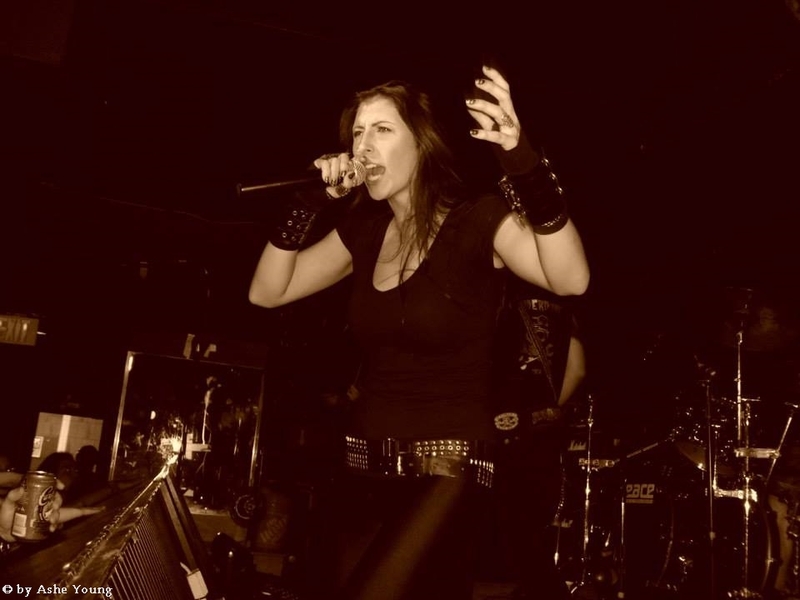 When I graduated I knew I wanted to do something with my voice; Scott was in a band with our ex-guitar player Brayden, and when that band broke up I approached them both about starting Unleash The Archers and just took it from there! You were a member from Eve's Apple, a worldwide community of professional female singers, which call it quits in the end of 2013. Could you please tell me: what were the most important experiences and impressions with/via Eve's Apple for you? The best part of Eve’s Apple was the community that was behind the scenes, the parts that no one got to see. We were very close and had a chat group open at all times to share our triumphs and tragedies, and to support one another when obstacles seemed insurmountable. I learned a lot from those girls, and we really pushed to create an environment of encouragement rather than the jealous competitiveness that too many constantly try to push onto the female-fronted metal world. I sure hope so! Very few countries compare to Germany when it comes to the support of Metal, so we definitely plan on making the trip across the water very soon! Talking about Rock & Metal music in Radio and TV now, how does this work in Canada - do you get a lot radio airplay and TV-appearances? What CDs are spinning in your CD/MP3 player the most these days? I tend to just put entire discographies on shuffle hahaha… Lost Horizon, Angra, Iced Earth, Manowar, Iron Maiden, Soilwork, Symphony X… There are just too many to name! What is on the plan for you and your band mates in the next weeks/months? For now, we are fully immersed in finishing the new album; we hit the studio in March and will be releasing the first single soon after, we have already filmed the music video for it and can’t wait to show it to all of our fans :-) We also have a whole bunch of shows in May including the Wacken Metal Battle which we are so excited to be a part of! Then hopefully a big CD release tour this summer through the US and Canada… and if we make it to Wacken, we will also do a small tour of Europe! Just wanted to thank you so much for this opportunity! We are always excited to reach out to new fans and different Metal communities all over the world :-) Despite being spread out all across the planet, I always feel that Metal unites us no matter where we live! Thanks for your time. We wish you and the band all the best and much success with your new album!